You have likely seen innumerable photos of extraordinary beauty across a range of mediums including magazines, travel journals and post cards that create unforgettable images that will sit in your mind for years to come; but have you ever imagined actually visiting these destinations? Just picture it – the moment you dip your feet into the crystalline water, sending gentle ripples across the still ocean as your toes disappear below pure, white sand. The tantalizing Thai beaches create a true sense of Shangri La with an inimitable splendor that will transport you to real life heaven-on-earth. It is time to unveil the truth and reveal whether these mythical spots are fact or fiction; whether such beauty does truly exist. 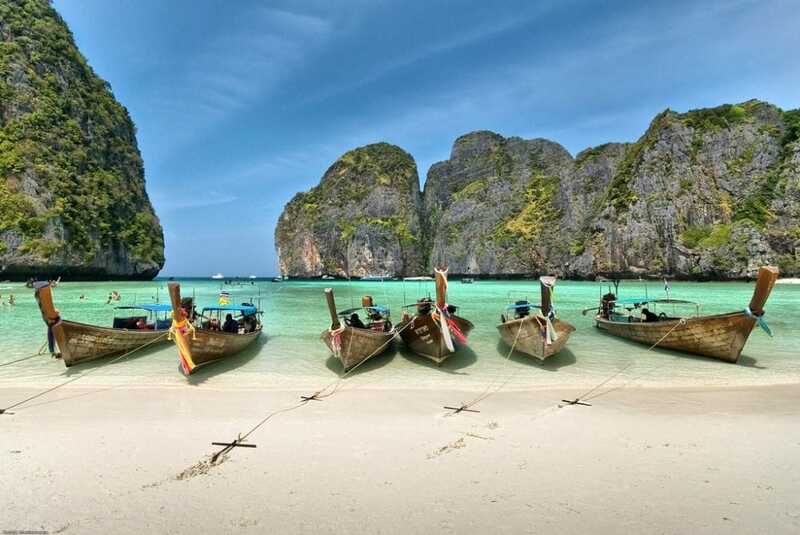 In this article, we will share a plethora of information to ensure that you experience the wonder that is a serene Thai beach. Of Hollywood fame, Maya Beach is a celestial marvel that achieved notoriety following an appearance in The Beach, below the alluring gait of Leo DiCaprio – and its extravagant beauty is as astounding as expected. Limestone cliff backdrops, aquamarine water and a breath-taking shoreline, this is a must-see spot for any visitor to Thailand. Despite its explosive popularity, the destination remains as desirable as ever with no cars allowed on the island and bicycles used as the primary mode of transport. With a multitude of activities such as diving, snorkeling, climbing and hiking – plus the inevitable souvenir stop-offs – this is a memorable haven. The beach also enjoys a host of established facilities and high-quality snack bars making it the ideal stop off for families. For the truly active, Anemone Reef boasts a vast array of marine life while for land-based nature lovers, the beach is home to thousands of birds in a rich tapestry of tropical colors. During the months of May and October, strong winds can disrupt the region with heavier swells affecting long-tailed boats so check before travelling during this time, or choose the more stable ferries that leave from the main wharf on Phuket and take two hours to reach Phi Phi.